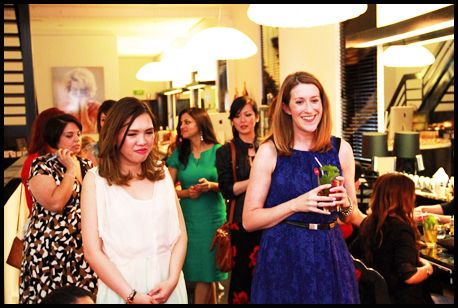 I was invited to the exciting Melbourne Beauty Blogger Event 2011 a few weeks ago, and boy, oh boy, was it every bit the thrill I thought it would be! 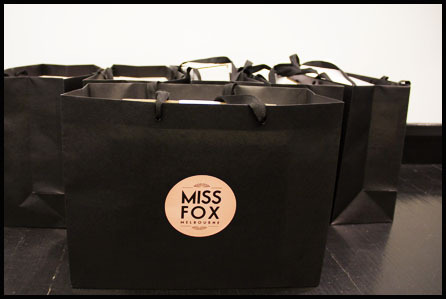 It was held at Miss Fox Melbourne, a beautiful little day spa on Little Collins Street that can only be described as very 'posh and polished'. It has black, polished hardwood floors, gorgeous little hanging lamps and soft lights, and beautiful, simple but graphic furniture. Upon our arrival, we were given lovely homemade cocktails! The amount of work and detail put into those cocktails was impressive, and they were so yummy. We even had cupcakes. 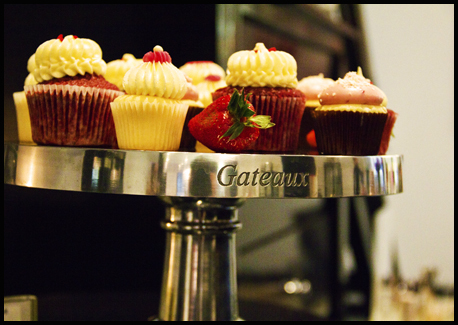 Oh, the cupcakes! They were placed on gorgeous serving trays all about the room. I scarfed one down in seconds, but was too embarrassed to help myself to another one (or three). There were other treats too, of the non-edible variety. 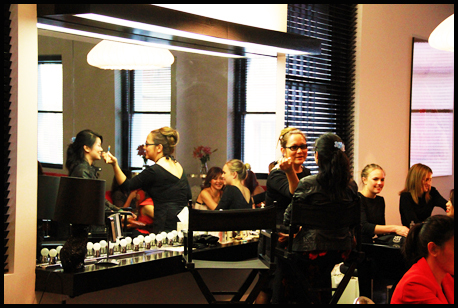 We were offered makeovers, manicures, and hand massages. Val from Ponikuta, the brains (and brawn, to some extent) behind this amazing event, even had a quiz for us to fill out to win prizes! Oh, and did I mention the goodies? Val filled the goody bags with such amazing goodies. I was so amazed to see the products in those bags, and I will be posting reviews shortly! 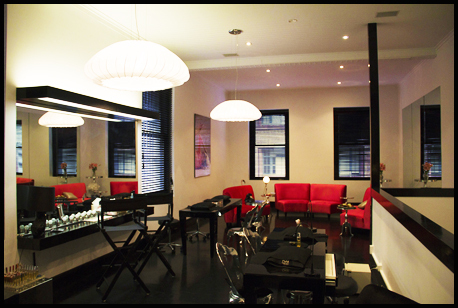 The interior of Miss Fox Day Spa. 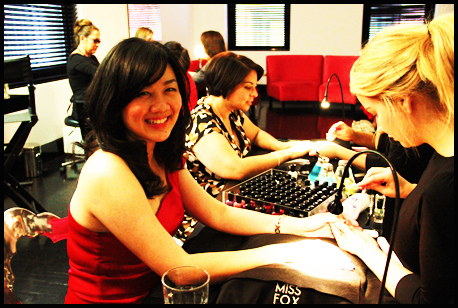 And here are Tine from Beautyholics Anonymous and Jacie from You've Got Nail getting their manicures done. 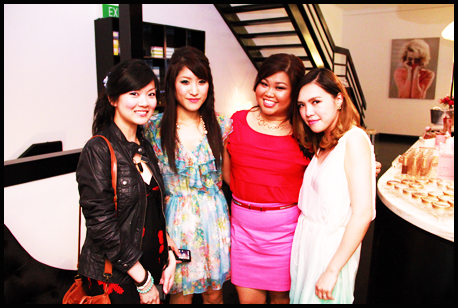 Me with Shizuka from heartofpearl, Jess from MissJShopaholic, and the infamous Val from Ponikuta. I also got a makeover! The famous Luna, an established, and very talented makeup artist, did my makeup using Jane Iredale mineral cosmetics, and the result was really dramatic and eye-catching! Another thing that stood out about the event was the guest speaker. The lovely Kate Morris, founder of Adore Beauty, was kind enough to share with us her rise to the top of the Aussie online retailer food chain, and what an inspiring story it was! Kate, in blue, about to offer her words of wisdom! We ended the event with dinner at a restaurant nearby, and lots of chatter and laughs, as is to be expected when Melbourne beauty bloggers get together! I must thank Val for all that she put into this event. It took so much to put everything together and she must have been so tired out by the end of it! All pictures credited to Brandon Cook.